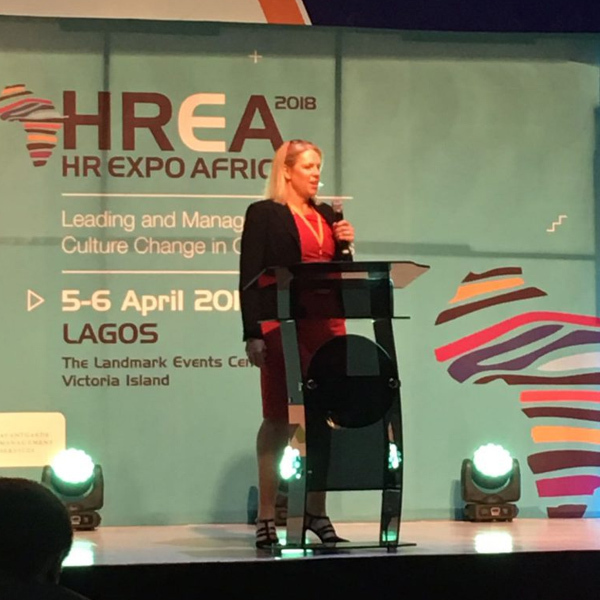 One of the key Behavioural Competencies we are asked to find when undertaking a Search for a critical leadership role based in Africa is ‘Strategic Thinking’. However, what does this actually mean? Next time you are in a Senior Management or Board Meeting, if you ask everyone to define what strategic thinking is, you will probably get as many different answers as there are people in the room. Many of the answers will be valid, but most will likely be full of management buzzwords that don’t mean a whole lot. It’s all too easy to fall into this trap and not to think about ‘What Good Looks Like’ when we are talking about Behavioural Leadership Competencies. If someone is a good strategic thinker, what would you actually ‘see and hear’ them doing daily, in meetings or as they are leading their teams? In this series on Leadership Competencies, I will be looking at six key behaviours, picking them apart to try to understand what we should ‘see and hear’ people doing if they are genuinely demonstrating this leadership behaviour. This ability to pick apart competencies is a key skill which will help you to push past the ‘spiel’ and find out who within your organisation actually understands and possesses a particular leadership competency such as strategic thinking. Allow me to demonstrate strategic thinking using a recent example we had here at Executives in Africa. We have just been through a new CRM implementation, a critical business change process which required strategic thinking to ensure we chose the right CRM to meet the long-term needs of the business. But what did strategic thinking ‘look like’ in practice in this instance? It required someone who could make decisions based on processing information, in the light of the big picture, assess alternatives and consider the impact on a wide range of individuals. It needed someone who could set clear goals, prioritise tasks, as well as identify potential risks, setting up contingent plans to deal with these. It needed someone who could communicate a clear path of direction and manage stakeholders (both internally and externally), take ownership and align different workgroups to achieve the desired outcomes. Wow what a load of management buzzwords! It’s such an easy trap to fall into. We need to learn to stop and pick apart what behaviours really ‘look like’ and this will enable us to assess future leaders, both internal and external appointments to ensure we are putting the right people in the right roles. For this project, strategic thinking ‘looked like’ someone who could observe difficulties within our current Sales, Delivery, Research and QA working practices and have a clear understanding of what the new system would offer to each area in order to unlock more efficient ways of working. Our PM for this project had recently joined Executives in Africa having worked for other Search Firms, including having worked with our preferred CRM, Invenias. We were lucky that she knew what the final operational practices looked like using Invenias and this enabled her to visualise what was needed to when we were working on the final system and therefore create a roadmap to get us from A to B. Quite often strategic thinking requires the leader to create this roadmap without having the benefit of hindsight from previous experience in another company or from a position where they only have access to incomplete information. Good strategic thinking for us ‘looked like’ having someone who could play out what could happen, what could go wrong along the way and communicate these clearly both internally and externally to service providers. It needed someone who could prioritize and sequence their thoughts, using a variety of methods such as mind mapping and project management tools. Our Strategic Leader was constantly drawing and updating flow charts on white boards to order her own thoughts and visually anticipate what was required next. Not everyone will be visual, but a strategic thinker should be able to demonstrate how they worked through the thought processes and be able to communicate these to others. This was a business-critical project which impacted on every area including active Searches we were managing for Clients. As an MD of the business, I needed to be confident that every risk had been considered so that none of our Clients would be negatively impacted as we changed over our processes. This required a clear skill on her part to structure her verbal and written communication in a way that helped me focus on the core messages, not confuse me with short term challenges she was encountering at that point in time. It required diplomacy in challenging existing practices I had implemented to establish if we were still doing things the best way, challenge the status quo and think outside the box to consider if there was a better way. These are all things you should ‘see and hear’ happening with someone who is a good strategic thinker. Strategic thinking also requires someone who is confident enough to take time to sit back, reflect and think about the challenge ahead. You may consider that this would be an obvious thing to ‘see’ someone doing if they are deemed to be a strategic thinker, but how many of us get caught up in the ‘Urgent / Important’ quadrant of Stephen Covey’s 2 x 2 matrix when a strategic thinker really needs to spend enough time in the ‘Not Urgent / Important’ quadrant in order to be effective. So next time you are looking for a Leader with good strategic thinking’ behaviours, take time to reflect on an individual in your organisation, ideally who has held that position who you deem to have been a good strategic thinker. What did you actually ‘see and hear’ them doing which demonstrated that they possessed this specific leadership competency? Hearing someone challenging existing practices and the status quo, questioning why, is there a better way? What looks good in your organisation for strategic thinking?